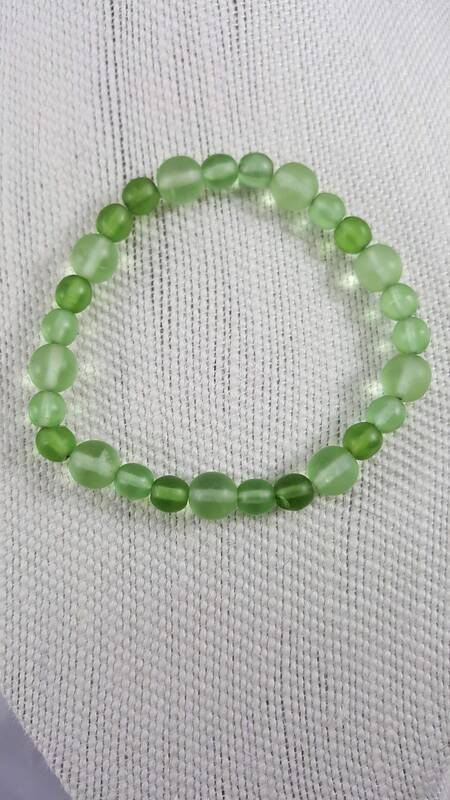 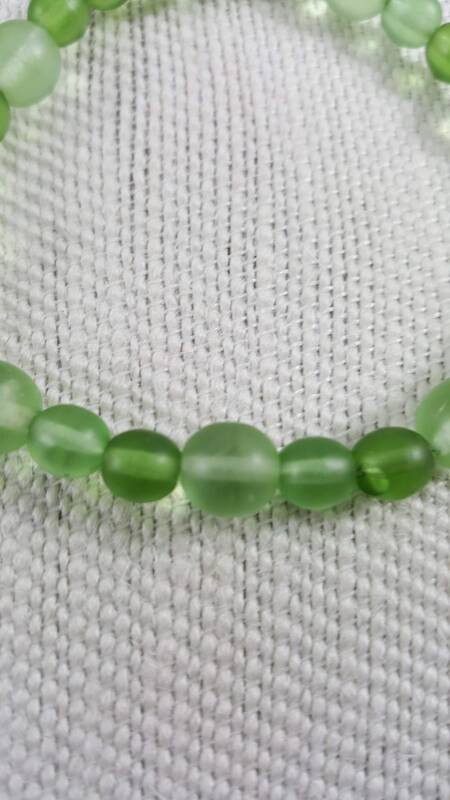 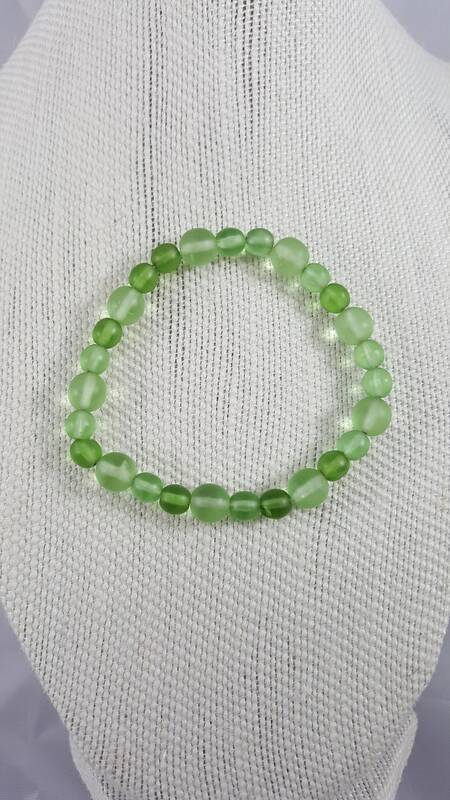 Light green Jade stretch bracelet for everyday wear. 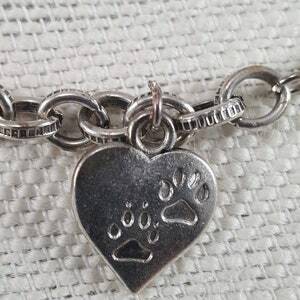 great with any outfit. 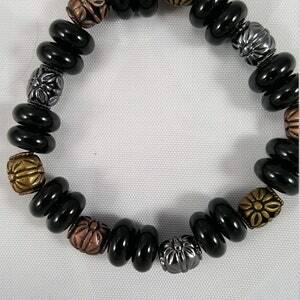 8" premium Black flat glass pearl stretch bracelet with metallic flowered barrel beads. 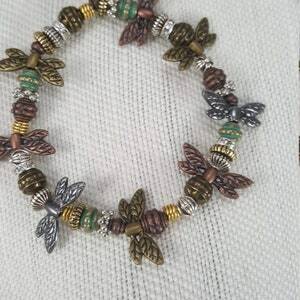 8" metallic Dragonfly stretch bracelet with multi-colored metallic beads. 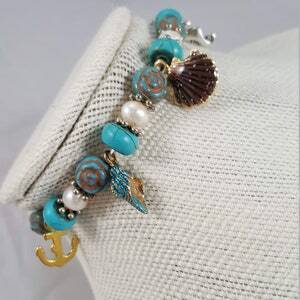 8" Beach inspired stretch charm bracelet with wood rose beads and turquoise beads.